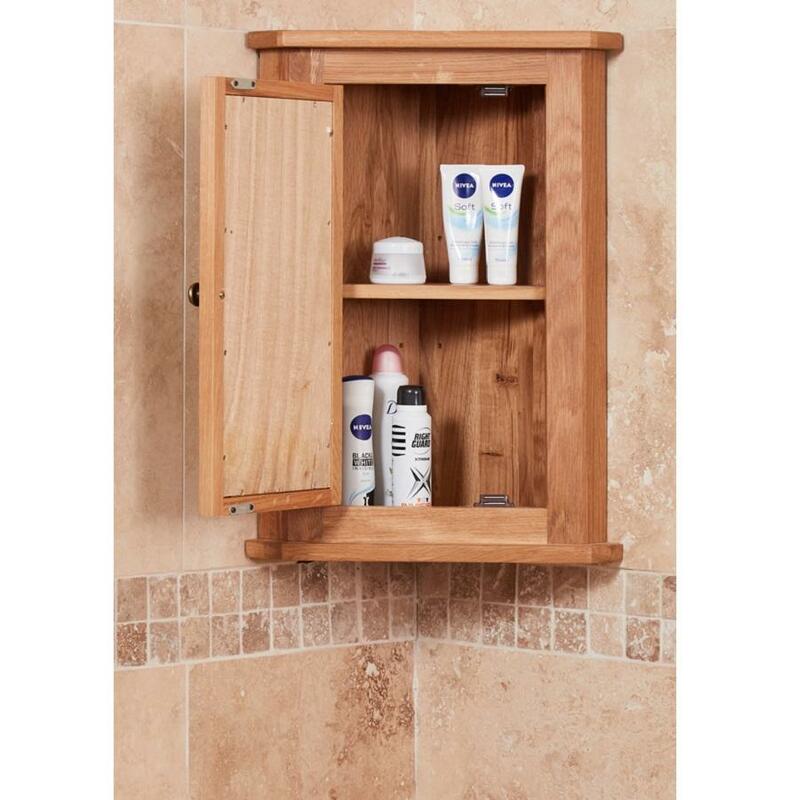 Lack of suitable storage is a common bathroom complaint. 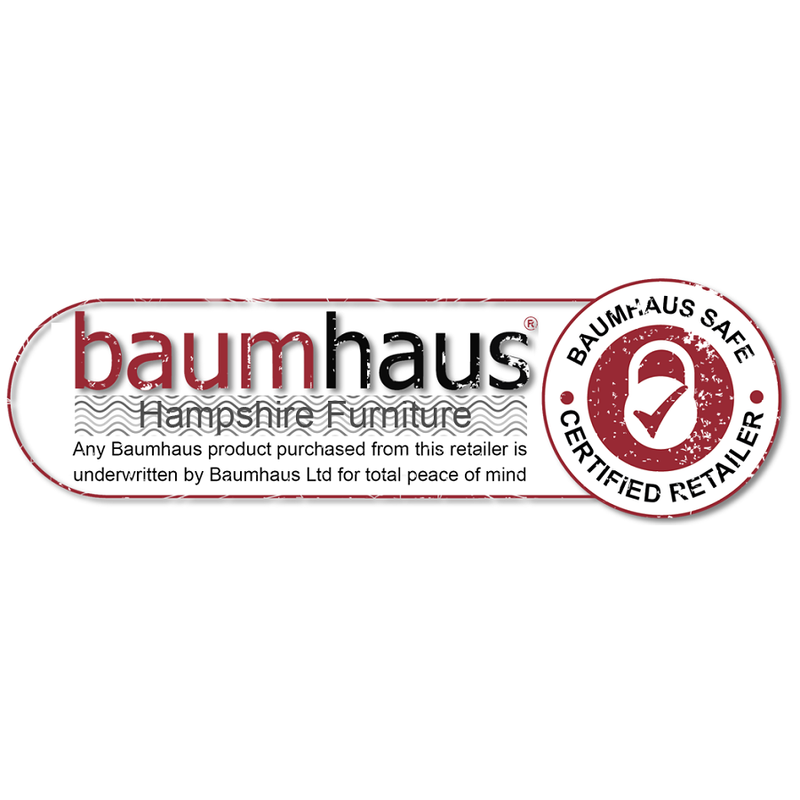 Finding a home for all the cosmetics, medicines and spare towels can feel like a never-ending battle. Showers are interrupted by an avalanche of plastic bottles and the early morning rush is made ever more stressful by a frantic search for the hairbrush. 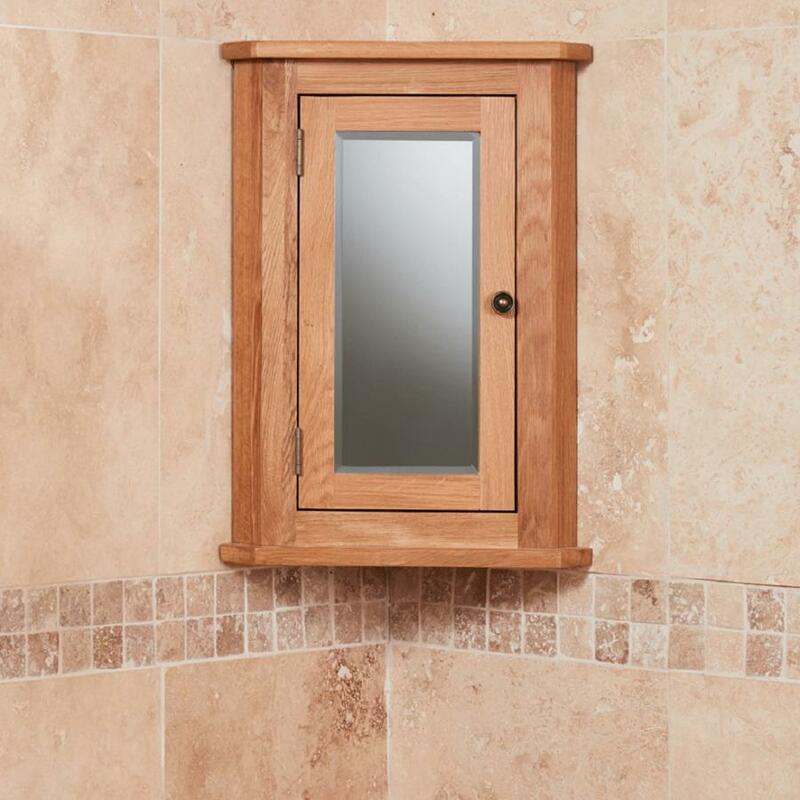 Fortunately, this incredibly functional and stylish oak cabinet will solve a number of bathroom woes. 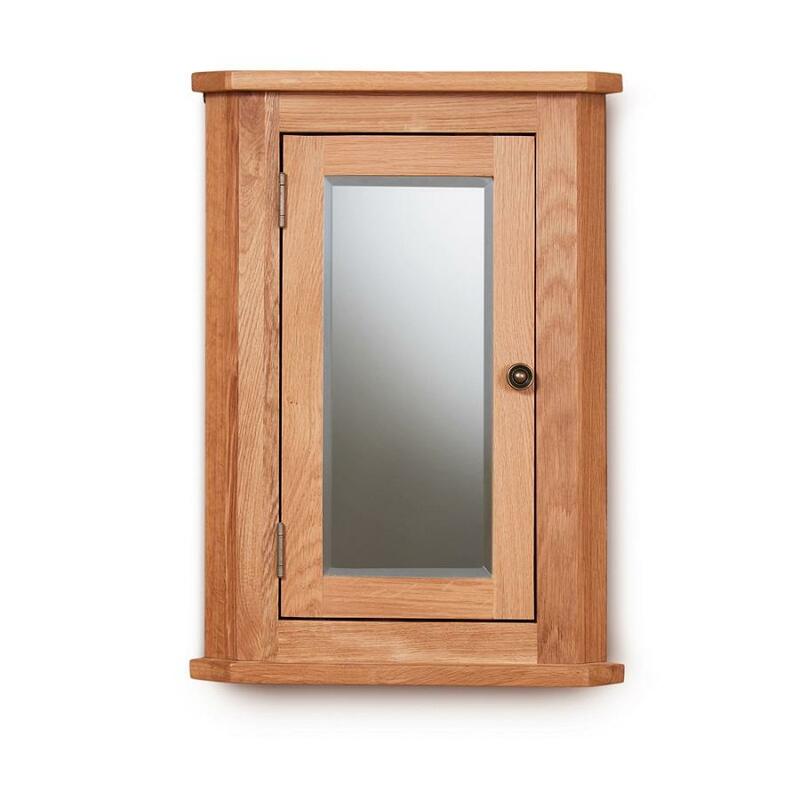 A solid oak mirrored corner wall cabinet. 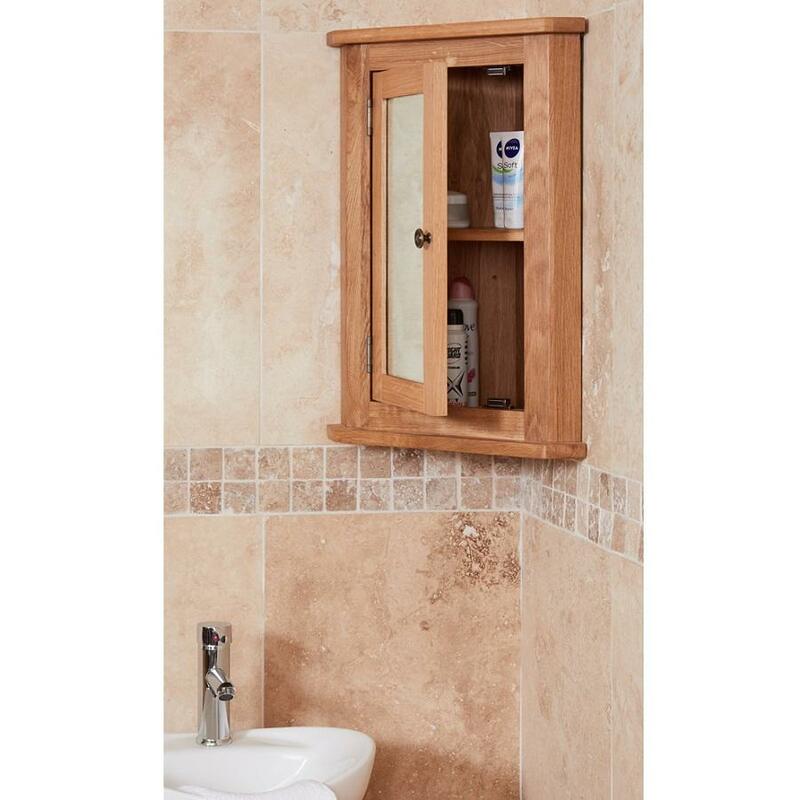 This corner bathroom cupboard has been designed to descreetly fit in most bathroom corners.